If you are here from our article: how to start a travel blog, you already know a thing or two about making money with your travel blog. If you are here for the first time and doesn’t have a travel blog yet, you should not miss our article about how to start a travel blog. 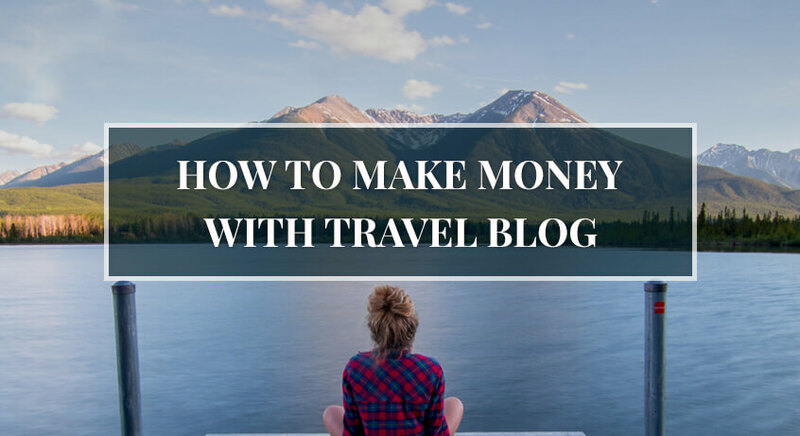 If you already have a travel blog and want to learn in depth tricks about monetizing your travel blog, you are where you oughta be. First of all, what are your expectations? Do you want to earn $1 million in 3 years like Johnny Ward and become famous like Nomadic Matt? Or you only want to travel the world and make just enough for your nomadic lifestyle? Well, it doesn’t matter what your future goals are. The only difference between the two is the amount of hard work you want to put into your travel life. In either case, you should stay with me throughout this guide. I will teach you how to become the Jedi of travel blogging so that the Force will always be with you. So, if you are ready, let’s get started! I have divided this post into two sections: Prepare Yourself and Let’s Grab the Money. Both the sections are very important. In the Prepare Yourself section, we will talk about how you can become the authority of the travel business while in the Let’s Grab the Money section we look into different ways of making money with a travel blog. 1. Don’t be a Professional Blogger! 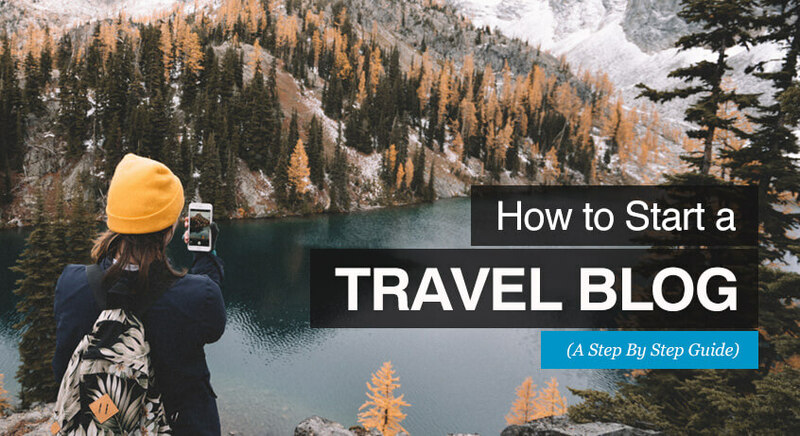 DO NOT skip any of the following steps if you want to see yourself as a star of the travel industry. Some people might say otherwise but don’t trust them. 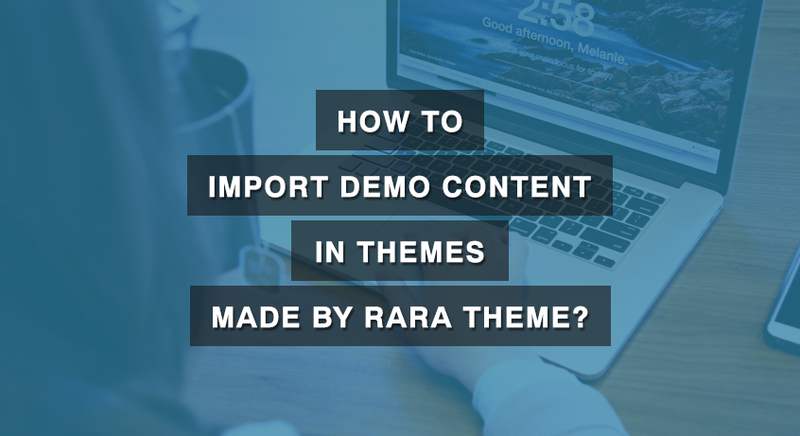 We, the team at Rara Theme, have helped many people create and sustain their website/blogs. And, trust me, we know the key to a successful blog. And, my friend, the key is not to display too much professionalism. Be creative in your writings. Be humorous. Be witty. People are looking for something interesting to read. When people read your travel blog, they mustn’t feel like they are reading a legal notice or some terms and conditions of a company. Having said that, I am not suggesting you to start writing haphazardly. There is a fine line between becoming too professional and a rookie. If you lean too much towards professionalism, you will sound boring. If you lean too much towards amateurism you might lose credibility. Identify the line and stay there. If you are not sure, go through your writing when you are done. Did you find it engaging? Or did you find it monotonous like a textbook of Science? If the answer to the first question is “Yes” then you are on the right track. Otherwise, you need to work a little hard on your writing skill. Don’t believe in those internet articles that say you can earn six figures annually with a blog right away. They are fake. All the “real” testimonials you read there are fake. Earning real money with a travel blog (even with other kinds of blogs) takes time. You have to dedicate your time (also money sometimes, for advertising), just to make your presence in the online community, let alone earning a penny. If you are committed and are ready to work hard, you will start to make money with your travel blog within a year. Remember, the hard thing in the blog business is building your audiences. And, that requires a lot of dedication from your side. We will discuss some tricks for getting yourself loyal followers, and for expanding your network in the next few steps. Where do you go for reliable information or news? Wikipedia? The Wall Street Journal? BBC? Why do you go to those websites? Everyone knows why! They are the authority. Being an authority means people trust you, people take your opinion seriously. Therefore, your aim as a beginner travel blogger should be to become the authority of the traveling business. Once you become the authority, you will have a fan base, and will eventually make more money. And, here’s how you can become the authority and have followers. If you have read our article on how to start a travel blog, you can skip this part. Write Quality Content: Firstly, no one will trust your blog if you have common spelling and grammatical mistakes. Secondly, if people visit your travel blog (somehow), they are never coming back to a blog with bad grammar and poor spellings. Thus, quality content, content without any major spelling or grammatical errors, is a necessity if you want your travel blog to become the authority. However, you don’t have to be the language guru either. 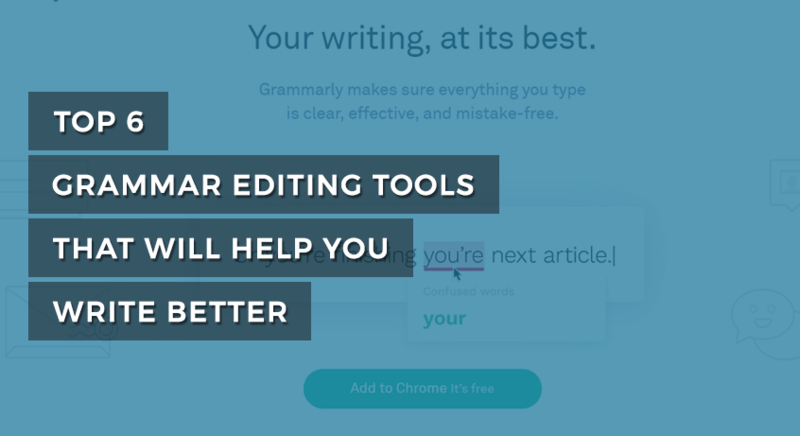 You can use tools like Grammarly (even free one will do) to check your grammar and the Hemingway app to make your content easy to read. Basically, before posting an article, you should proofread it. If there are no grammatical errors, and the article is easily comprehensible, post it. Post Useful and Interesting Stuff: Okay. You know that you should write quality content. And, you have some tools at your disposal, to check your language. But, is that enough? No. In addition to having error free writing, there’s another essential factor to consider. That is, you should write useful stuff, stuff that people find helpful. For example, you could write about 5 places to visit in X country so that when someone is traveling to that X country, they will come to your blog. Or, you could write about cheap ways to travel, or you could write about problems one might face while traveling. Also, try to do unique, thrilling activities during your travel to make sure people visit your travel blog regularly. People like to read about interesting stuff. However, you don’t have to always be dauntless. If you have two or three posts about exciting adventures, people will think you are daring and fun; and will follow your blog. But, keep doing interesting stuff every once in a while. If you were planning to just write your travel diaries on your travel blog, well, it’s time to face the truth. Nobody wants to read the travel diaries of a stranger. Remember, until you are the celebrity of the niche, people don’t have time to read about your personal stuff. Social Media: According to a report by Shareaholic, social media brings in about 31% of the traffic to websites. Therefore, go and create an account on every social media platform– Facebook, Twitter, Pinterest, StumbleUpon, Google+, LinkedIn and some other. Then, create a page/profile for your travel blog. Post your travel photos, tag people, use hashtags and share interesting things on it. Most importantly, be active on your social media. Respond to messages and comments. Make your social media page engaging. If you have extra cash to spare and want to grow followers quickly, promote your posts. Similarly, you should also follow other famous travel bloggers on social media. See what they are doing. Engage on their posts. It’s always good to know your adversaries. Social media is a free and easy tool for getting famous, go use it! Don’t miss any platform. Let everyone know you are in the game. Keep Posting: Like I said earlier, be dedicated to your travel blog. Post regularly. Don’t ever let your followers think that you have stopped traveling. It is hard to grow the audience so don’t let them slip away. Keep your followers with you by posting routinely. You can organize your posts, manage and schedule them with an editorial calendar. If you are familiar with Google Calendar, you can easily create your editorial calendar with it. Hubspot has an easy guide on how to create an Editorial Calendar using Google Calendar. And, remember to stick to your calendar! Write Guest Posts: Writing guests post on famous blogs/websites will help you bring in some visitors to your travel blog. Guest Posts will also help you with your branding and credibility. Once you write few guest posts on famous websites, people will start to take you seriously. People will see you as an expert in your field. And, you will become the authority. Also, guest posts are good for building backlinks and SEO. We will talk more about SEO later so don’t be alarmed with the word SEO and backlinks. “Yea. Yea. I get it. Guest posts are important. But, how do I find blogs to write a guest post?” If you had that thought on your mind, that’s very good. It shows that you are still serious about your travel blog. Follow famous blogs and contact them. Who knows, they may be looking for a guest writer. Use your personal connections, someone in your circle might know a blogger. Write a post on your travel blog and tell people that you are available for guest posts. You might have readers who own famous travel blogs. Remember what I said earlier? “It’s always good to know your adversaries.” Other travel bloggers might have been reading your posts. Use social networks. Contact bloggers on their social page and ask if they are willing to offer a guest post. LinkedIn is a great networking platform that connects similar professions. Utilize it. Also, you can also use Twitter to search for guest posts. Here’s how. Join forums and communities. Search for people who is willing to give you a guest post on their blog. Finally, google! Use keywords like “Submit a guest post” and its variants. BUT, be picky while asking or accepting a guest blog post. The guest post should help you and your travel blog. 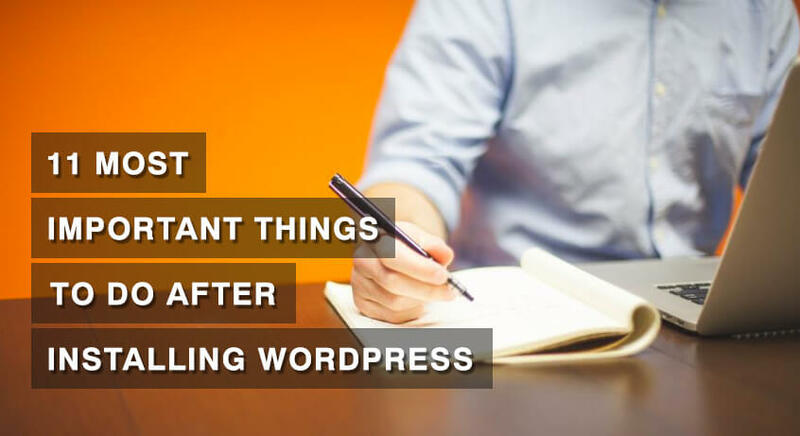 Therefore, you should keep the following things in mind before looking for a guest post. The content you write as a guest writer should be related to the travel industry. For example, you do not want to be writing for an education blog, it would be a waste of your time. The readers of the blog you are writing for should be interested in traveling. The blog should have a good number of followers. You should also check if people really read the posts on the blog (check comments and social shares or any other signs of reader engagements). Networking with people having a similar interest is good for business. The network can help you find guest posts, find sponsors and give you tips for success. Thus, after you start posting on your new travel blog, you should immediately search for communities of travel bloggers and join them. You can find lots of travel communities on the Internet. You can also search for travel groups on Facebook. If you don’t know where to get started, join the following communities asap. And finally, how can I miss Reddit! Reddit is a discussion-based social media platform. If you aren’t familiar with Reddit, you may get lost at first. But, after you start exploring it for few times, you will get the hang of it. You shouldn’t miss the travel community of Reddit. Click here go there. So, now that you are dedicated, ready to write quality, interesting content, and ready to build audience and network, I will talk about SEO (SEO Engine Optimization) and how it plays an important role on your travel blog. SEO is a technique for making websites/blogs rank higher in search engines like Google, Bing, Ask, Yahoo. If your posts and blogs are SEO ready, the chances of your travel blog coming to the top of Google search is higher. And, when your blog ranks higher in search results, you get more traffic. So, you should write your content in such a way that Google likes it. The technique is also called SEO Copywriting. And, it is easy to learn so don’t worry. 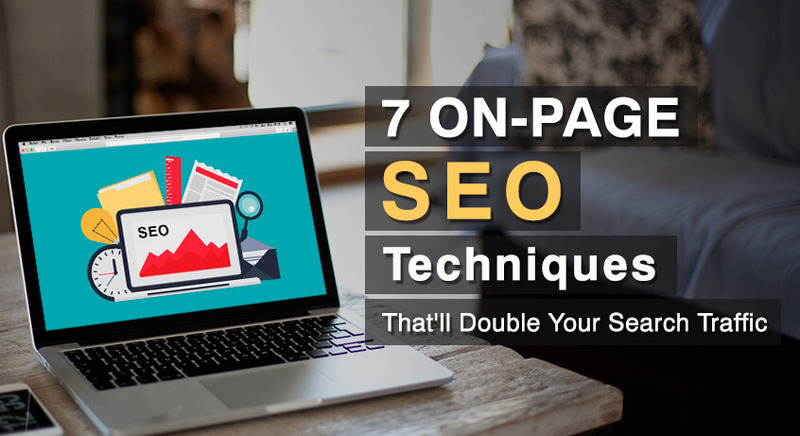 Just follow these 7 On-Page SEO tricks. 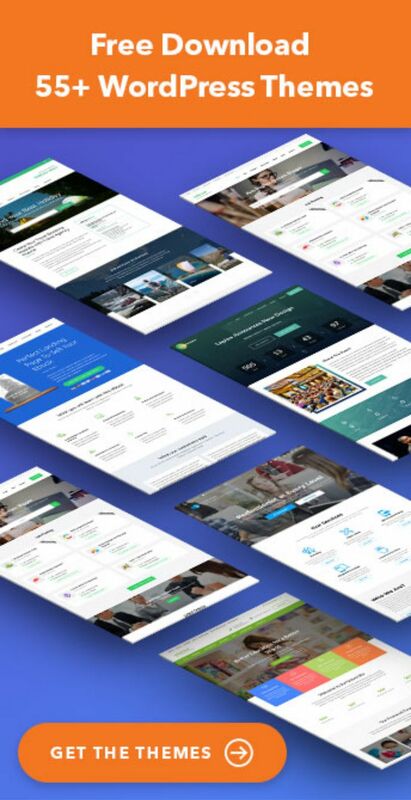 If you have already installed Yoast SEO Plugin on your blog, then you already have mastered some SEO techniques. Yoast SEO will give you SEO feedback on your content. Plus, I will also teach you some basic SEO tricks that starters should know. Before we go to some basic SEO tricks for starters, you should first understand what Keyword is. What is a Keyword (SEO)? Keyword is an informative word that defines your content. Your blog post can have one or group of keywords. You can tell search engines for which keywords you want to get ranked. For example, if you are writing an article about how to travel to Asia for cheap, you would want Google to show your article when people search for “how to travel to Asia with low budget”. Therefore, your keywords should be “Asia Travel Cheap”. 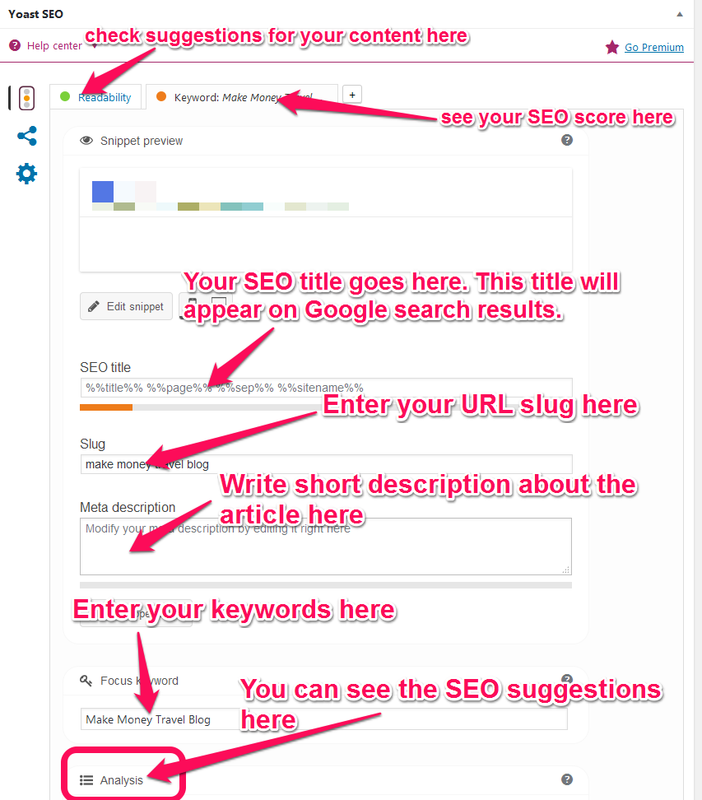 You can define your keywords in the Yoast SEO plugin. I will teach you how later. Your title tag should contain the keywords you are targeting. And, it should contain only 50-60 characters. You should include your keyword in your URL slug. A URL slug is the URL for your post. Also, URL slug should be readable and memorable if possible. You should have one (and only one) H1 heading. Include your primary keyword in the H1 heading. Try to include your keywords or related keywords throughout your content but don’t overuse them. Link to other travel articles of famous blogs when possible but, again, don’t overdo it. These links are called Outbound Links. Use images and include your keywords in the alt attribute of the images. Write an attractive but relevant headline. At last, write good, long (only if it makes sense) articles with proper formatting to increase user experience. You should try to increase the engagement of users. The longer time a user spend on your article, the better chance you have to get ranked in the search engines. If you found these tricks technical and baffling, it’s all right. Your articles can still be good at SEO because you have already installed Yoast SEO plugin on your travel blog. If you haven’t installed it yet, do it now! 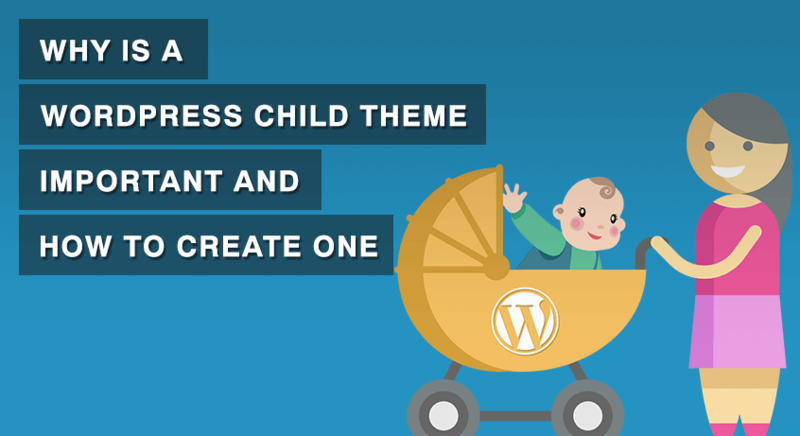 Yoast SEO can be found below WordPress text editor. Well, that is all the preparation work you need to start earning money from your travel blog. Now let’s move to another section so that you can start making some bucks with your travel blog! This section deals with different approaches you can take to earn money from your travel blog. So, let’s get the ball rolling! This is the most common way for starters to earn money with a blog. You can place ads on your travel blog and get paid. Once you have a decent number of posts on your travel blog, you can apply for Google Adsense. 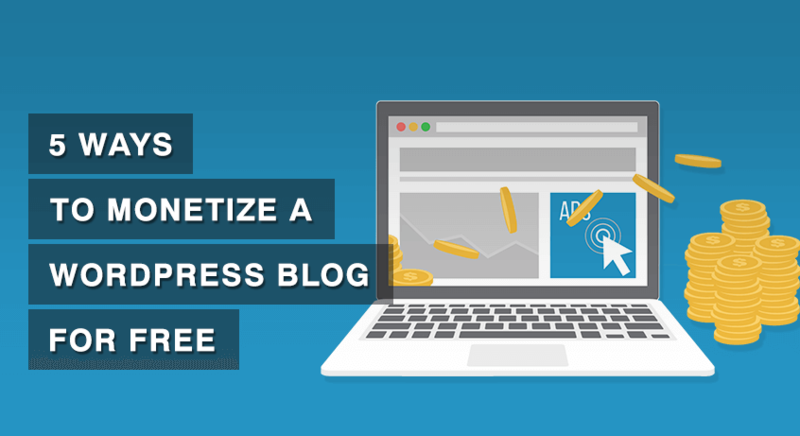 Google Adsense is a common method for displaying ads on your blog. Once Google approves you, you just have to copy and paste some codes on your blog, and you will start to see contextual ads on your travel blog. Besides Google Adsense, there are other online advertising agencies that you can use to display contextual ads on your travel blog. Some of them are Media.net, Amazon Associates, Buysellads, Shareaholic. Check them out and use the one you like. However, as a starter, you won’t earn much with the ads from these online advertising agencies. To earn plenty of money from this kind of advertisements, your blog must have tons of traffic (over 100k per months). I suggest you to start looking for direct advertisements. Use your networks, contact local businesses and keep a “Advertise with us” page on your travel blog. This is a bit more difficult task than applying for Adsense. But, the benefits are high because you set the rate of ads. Also, if your travel blog becomes famous, rich corporate travel industry might also contact you for advertisements. In conclusion, you wouldn’t earn much using this method (unless you find direct advertisers). But, it can be a great passive income for your travel blog. Most of the travel bloggers, including Nomadic Matt, earn using affiliates. In this method, you put a link or a banner of product or service at the end or in the middle of your article. And, whenever people go through the link and buy the product or service, you get a certain commission. For example, if you are writing about trekking in Nepal, you could add a link to the gears you used and would recommend. You can find many affiliates network on the Internet. One of the best out there for travel bloggers is CJ Affiliate. Top travel companies like TripAdvisor and Flight Network use CJ affiliate for their affiliate program. Airbnb also has a great affiliate (referral) program. Similarly, you could also join Amazon affiliate and advertise travel products. But, the important thing to remember is, you should never promote products that you don’t trust. Finally, this method wouldn’t make you rich but is a great passive income when you have a good number of visitors on your travel blog. This is the best method of making money for average travel bloggers. And, this is also the most popular method of earning for most of the famous travel bloggers too. You create your own product, like an ebook. And then, use your blog to promote and sell it. If you use right marketing strategies and if your product is useful and legitimate, you will get buyers. If people like your products, you will make a ton of money and become famous as well. But, like other methods I mentioned earlier, you’ll need the traffic to get the sells. If it doesn’t work out, you could even print a book. Compile your best travel experiences and contact a publisher. This is another great way to make money with your travel blog. You can offer paid services, such as one-to-one counseling, speaking in conferences, or helping people create blogs. In this method, you will use your travel blog to sell yourself. You need to advertise what services you can offer on the “About” page of your travel blog. Be creative. Look at other travel blogs to check how they are selling themselves. Similarly, you’ll need to convince people that you’re worth buying (with quality writings). And then, back up your claims once they purchase your service. DO NOT offer services you are unsure of. You don’t want to ruin your reputation. In this method, you will post about a specific brand, product or service and companies will pay you for it. It is like advertising a product, but with an article. Once you have significant traffic coming to your travel blog, companies will approach you for sponsored post. But, remember, always be honest about the service or product while writing about it. I know, they are paying you, but you cannot lie to your audience. And, don’t worry, many travel bloggers write sponsored post– some specify it as paid post, some don’t. As long as it’s interesting, your audience won’t mind if you write few sponsored posts now and then. An example of sponsored post could be you writing your experience about the stay in a specific hotel. The hotel will pay you to write about them. In addition to writing full-length articles on your travel blog, companies might also pay you for promoting products on your social media page. You could, on your Facebook page, share links to products or services, or share a photo of you using a service. Travel industries or Tourism Boards could hire you to do their marketing. Once you are a recognized traveler, some travel industries might even offer you brand ambassadorship. If you can land a paid marketing campaign, you will make very good money because you will decide your worth. You might be asked to do a film or to be a guest in their events. You should decide your fees based on the content and amount of time the project will take. But, don’t go around hooking with every offer, remember, you have to maintain your brand. Once you create a blog, you will basically become a writer. Your blog will become your portfolio. So, you use it to your advantage. There are many blogs looking for a writer. Contact them. Or, you can also go to freelance writing portals like Freelance Writing and Problogger, and find the right writing task for you. Once you write for someone on freelance websites, and if they like you, they might even contact you in the future too. You can always use this method if you want extra cash or if you are free. Since you are a travel blogger, you will click photos for memories or for your blog. So, you will have lots of photos with you. But, did you know you can even sell them for money? Businesses like tour companies, tourism boards, outdoor brands, media outlets could use your photos for marketing and advertising. The photos you see in the travel section of major news websites might have been clicked by some travel bloggers. So, remember to carry a nice camera with you on your next trip. Click some awesome photos. Display them on your travel blog. If people or brands like them, they might contact you to purchase them. Plus, agencies might even hire you as their photographer for large projects. Therefore, if you don’t know how to take great photos, take some photography classes or research on the Internet. People love videos. Actually, they might even prefer watching a video to reading an article. So, you can also make videos when you travel to make money. Going Bungee Jumping, or Skiing? Make a video and upload it on Youtube. Share the youtube link along with an article. You could even make videos of everything you do while traveling. Youtube is a great way to make money online. So, invest in a GoPro or other action camera. Plus, with links to your videos from your travel blog and vice versa can increase the traffic to your blog notably. And, you know what rise in traffic means, MONEY AND FAME! We are now at the end of this article so I am going to sum it up for you. Focus on writing amazing content because your travel blog is your portfolio for selling your services and making money. 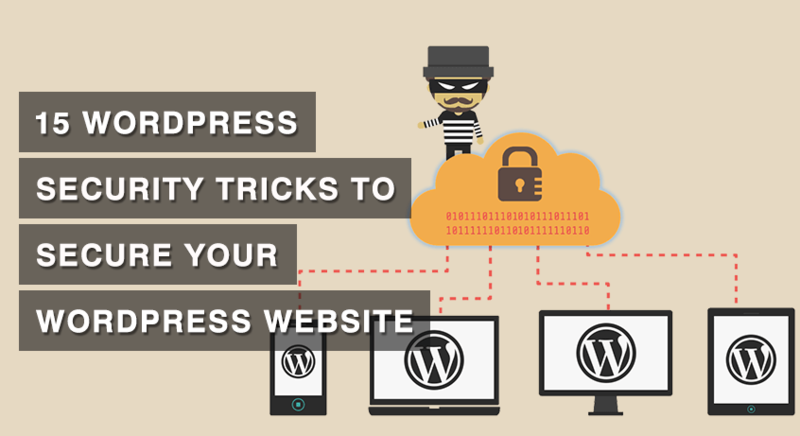 You may find many hacks and shortcut tricks on the Internet that teaches you how to make money easily with your travel blog. But, remember, in life, there is no shortcut. Those tricks might get you money, but it is short term money. If you are planning to go long term with your travel blog, become the authority! Authority sites might not make much money in the first few years. But, in the long run, they have the potential to make much much more than the shortcut techniques/hacks.